We support the following charities because we believe in them personally. In 2004 I (Chris) fell about 15 ft. from a building while conducting combat operations in Fallujah, Iraq. After one failed surgery and months of bad advice about resting my back, I was processed for a medical discharge from the Marine Corps. Just before my final Medical Board, Alex Lincoln from Athlete’s Performance and the Andrews Institute reached out to me and offered to bring me to their facility for comprehensive treatment. I flew to Gulf Breeze and went through the most thorough, advanced, and organized treatment that the United States has to offer. Through that door a team of professionals, physical therapists, nutritionists, strength coaches, and surgeons, met with me to ensure the best and most successful treatment possible for my condition. When I left three months later, my back was repaired, my strength and flexibility were back on track, and my body composition was very healthy (10% body fat). I left with a complete workout and nutrition program and the full and continued support of the staff. I returned to duty with the Marine Corps and left on my own terms. They and God gave me my life back through physical healing. Recently, Athlete’s Performance, along with the Andrews Institute, established the Eagle Fund, which is designed to pay for this amazing treatment for our wounded warriors. In late 2009, I (Chris) was diagnosed with severe PTSD with Psychosis, Major Depressive Disorder, and a Mild Traumatic Brain Injury. This combined with personal and relationship struggles caused by my untreated condition brought me, literally, to my knees. God saw fit to connect me with Shari Duval as she was establishing K9′s For Warriors. Shari’s organization trained and provided me with the first dog (Harvey) from their program. Harvey provided me with some serious emotional support as I struggled with my sickness. He used to lick the tears from my face when I was curled up under my desk crying and would sit with his back touching my heels so I always knew he had my six (military term for “He had my back”). God and the dog that K9′s provided helped me to reconnect emotionally with the world and assisted me in coming to terms with my life and future. K9′s has been busy since then and needs support to train other canines to guard and comfort my brothers who continue to return emotionally wounded. I have a heart for all who sacrifice willingly and it makes no difference if he or she is from the U.S. or the U.K., we all had the same mission over there. Our brothers in arms from the U.K. sacrificed and suffer no less than we do. The United States Marines fought alongside both UK Army Service personnel and the Royal Marines. When we bought our Land Cruiser in Oxford we stopped in a small town east of Stonehenge where I ran into a gentlemen at the super market whom was raising funds for wounded veterans. He told me about the Tedworth House, funded by Help for Heroes, and I knew we had to visit immediately. I was not aware that it was under construction until we arrived. We decided to take a walk around the beautiful new complex. I hope Help for Heroes doesn’t mind, but the door was open so we had a look inside and viewed the video that was playing on one of the hall monitors. I feel that once it is up and running, it will bless so many of the men and women whom served with such selflessness. They are doing a wonderful job! Celine and I visited the Tsogang Basadi (meaning Wake Up Women) Orphans Project in South Africa in October of 2012. They are wonderful, positive, and excited about their futures. They literally have bread and sugar-water once a day, but walk around with hopeful smiles. We discovered that their water source was a leaky water container that relied on the rain for a fill up. Many of the townships suffer the same plight and it weighed on our minds. 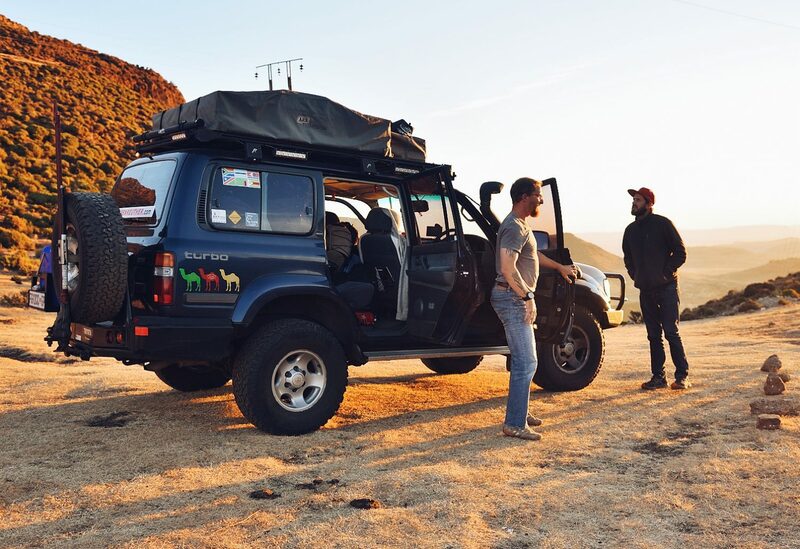 As we began our research of overland travel across Africa we came across the web page of two other adventurous souls who had done a trip of support. They represented Lawrence’s Roundabout Well Appeal (LRWA). After we watched the video on the LRWA website we were convinced that this would be an excellent answer for the orphanage, not to mention that LRWA is an amazing and clever project. In order for the orphanage to receive one, we must find a geologist to survey the area to determine whether water is available. If there is, then we need to fund the drilling of a borehole. Once that is complete, the organization that provides the wells, Play Pumps, would have to come and test the water to ensure it’s potable. We can join together in support of their organization to help raise money to provide a well for the orphanage and for other similar projects in South Africa. It doesn’t take much if we have the numbers. There is power in numbers and power in giving. I am forever grateful to God for these organizations. Some of the world’s most highly trained athletes are the men and women who make up America’s armed forces. When they get hurt in action, it puts more than a game in jeopardy. The Eagle Fund provides wounded warriors access to the highest quality of care possible. The Object of the Charity is “to raise money for the purchase of roundabout wells (also known as Playpumps TM) in Africa”.All donations from individuals and companies go directly towards buying roundabout wells. K9s For Warriors is dedicated to provide service canines to our warriors suffering from post-traumatic stress as a result of conflicts and war after 9/11.